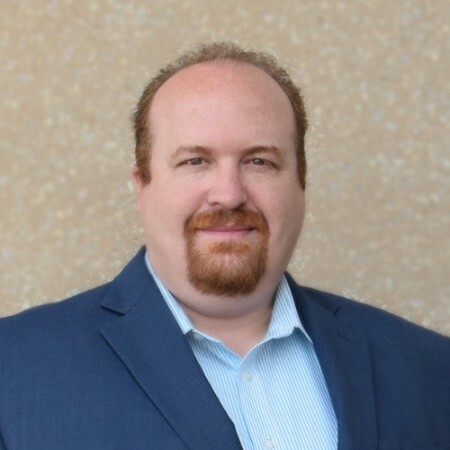 We had the pleasure of sitting down with Kevin Murphy, Chief Information Officer, and Michelle Dearholt, Chief Retail and Performance Officer, with Nusenda Credit Union. 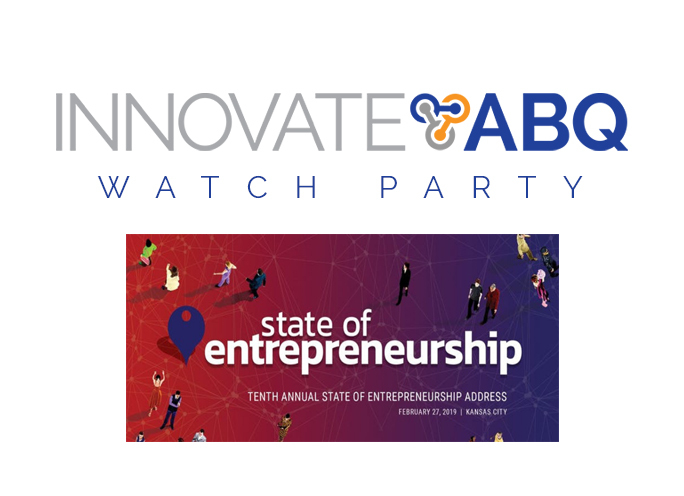 An exciting and innovative way of banking is happening right now at the InnovateABQ campus. 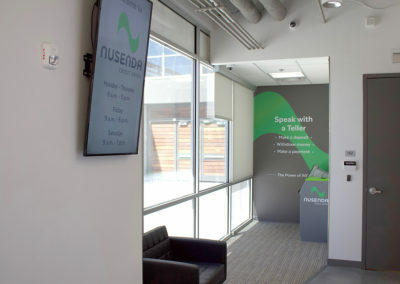 Nusenda is breaking down the barriers of banking, creating a new banking experience that is the best of both worlds, technology and personal service. 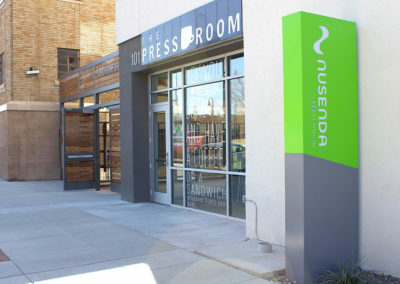 Co-located within The Press Room Cafe, at InnovateABQ – 100 Broadway, Downtown Albuquerque, New Mexico 87102, the Virtual Branch offers a perfect location for our local UNM student residents, and a wide range of entrepreneurs from the many businesses that are located on the InnovateABQ Campus. A convenient and fast banking experience. 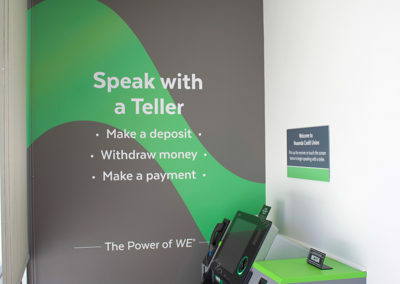 Once you tap the screen on the Personal Teller Machine to start, within a few seconds, you are connected to a live teller on the screen. From there, you can do all your banking virtually. 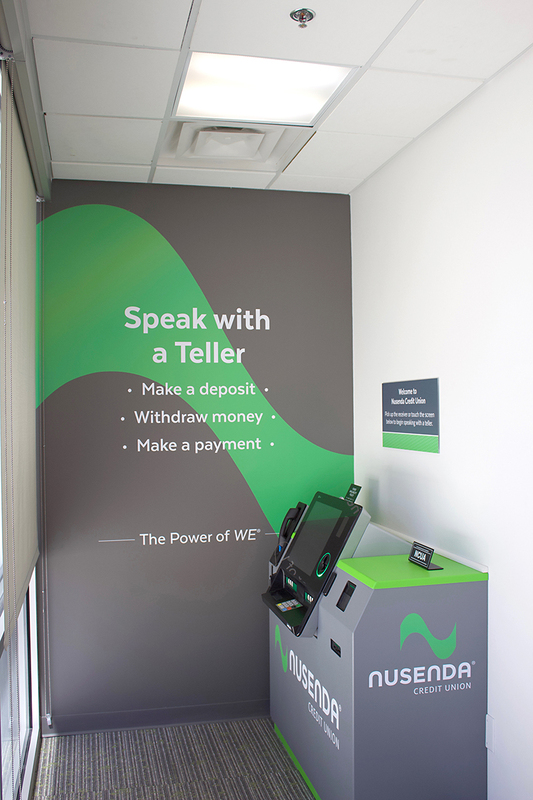 You can deposit cash, checks, withdrawals, ask questions, etc. 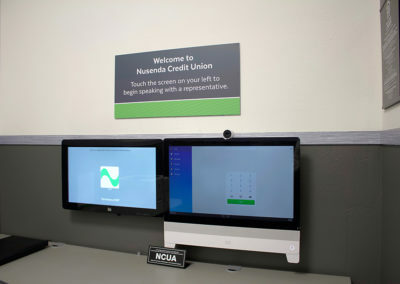 There is also a private suite that is available so you can speak to a member service representative privately via an interactive high-definition video conferencing session to apply for loans, open a new account, etc. 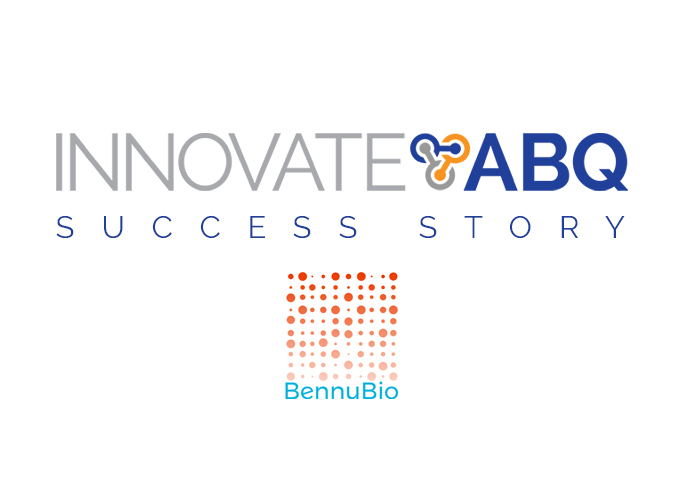 They have the ability to accept paperwork from you, print information for you, and to walk you through the entire process. 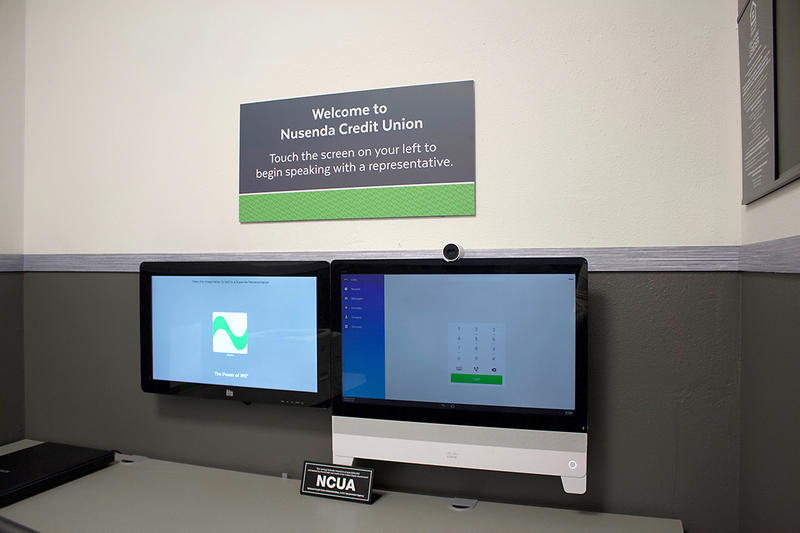 While getting a demo of this virtual branch, we spoke to a representative that was cheerful, knowledgeable and helpful. 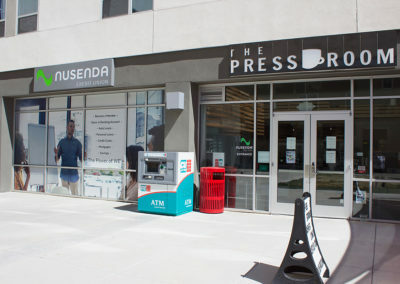 The representative also shared with us that the students recommended the smoothies at The Press Room Cafe. Banking that’s Convenient, but Fast! Private, but Personal. 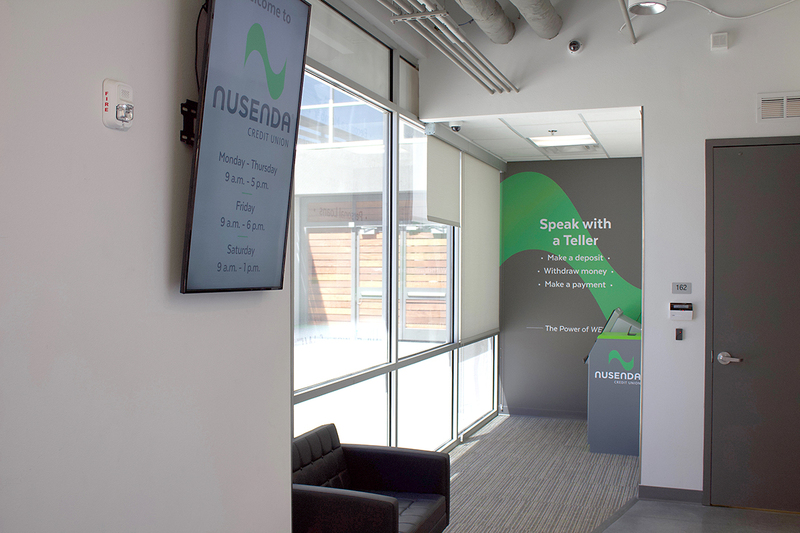 Nusenda has a highly skilled team of developers and technology staffers who have worked with major companies like NCR and Cisco to develop and deploy these technologies. 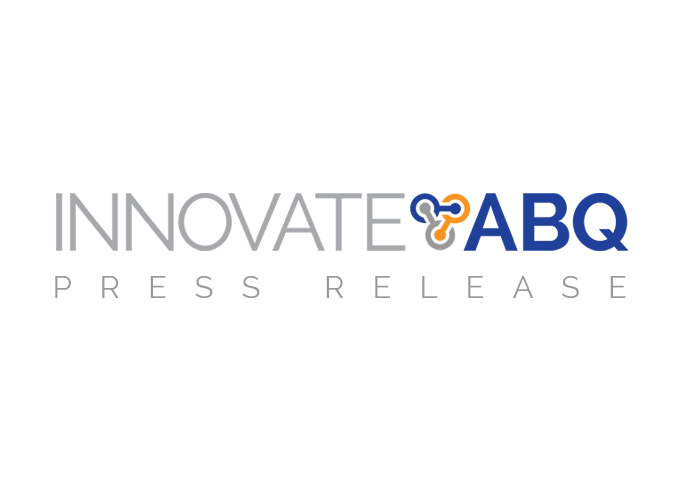 This work itself was highly innovative for the financial services industry. For some aspects of this, Nusenda is amongst the first deployments in the country. Based on what they have learned so far, Nusenda is looking at other opportunities to deploy this form of un-attended branch in places where we can use it to provide a high level of service to a concentration of members. 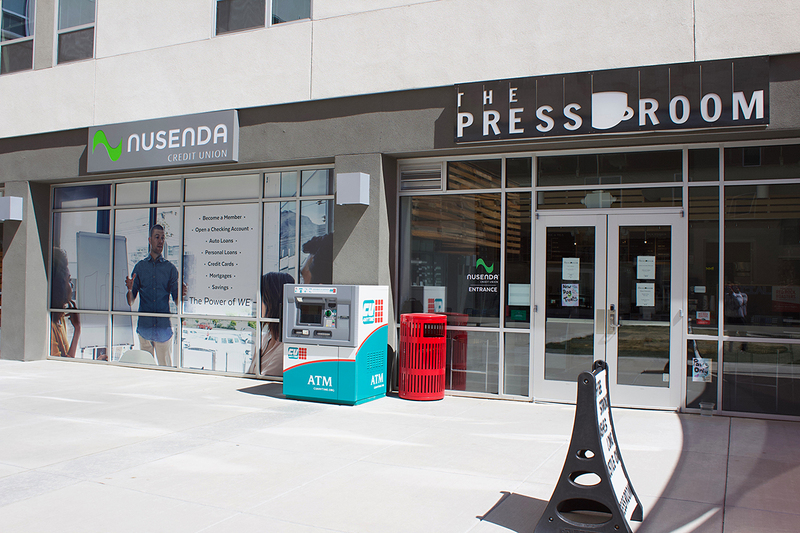 The cafe was seen as a great place to deploy this new technology, in part, to test it in the real world and see if it is something they could potentially deploy more broadly. 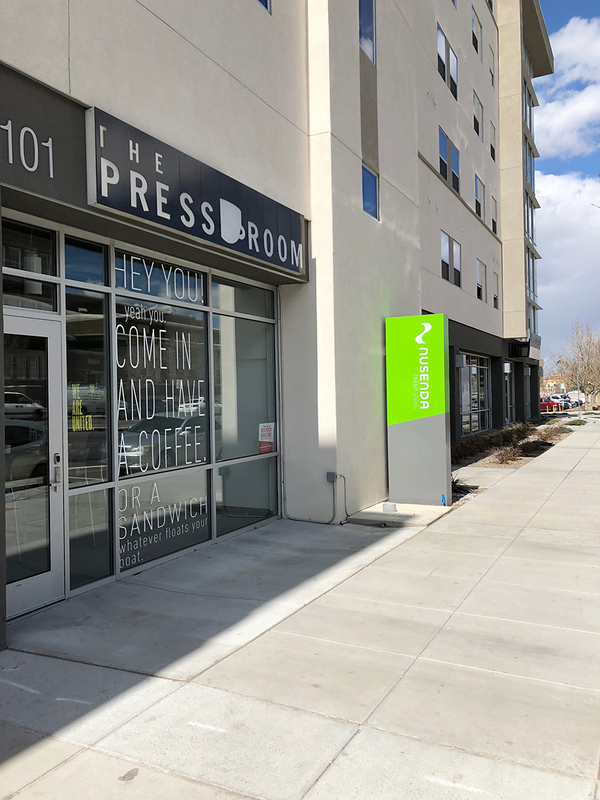 Adding in the financial services components that we designed for this space was a way that we could provide for those needs that the residents and entrepreneurs at InnovateABQ would have. This concept of an un-attended branch office was something that Nusenda had been formulating for some time and this was a great opportunity to try it out. 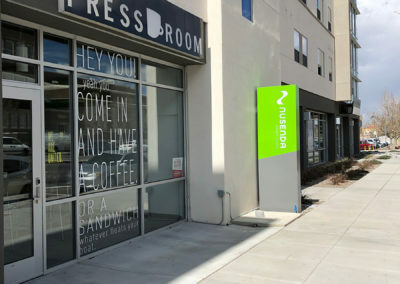 The cafe concept would be a natural need in this kind of work/living place and allow for people working on various projects or start-ups to be able to run into each other and have conversations, leading to collaboration. As a committed partner to the innovation and entrepreneurship taking place downtown, this effort confirms Nusenda’s support by being part of the community. 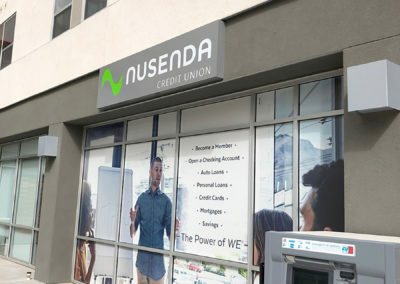 The success of this amazing virtual branch may give way to Nusenda considering other virtual branches elsewhere. 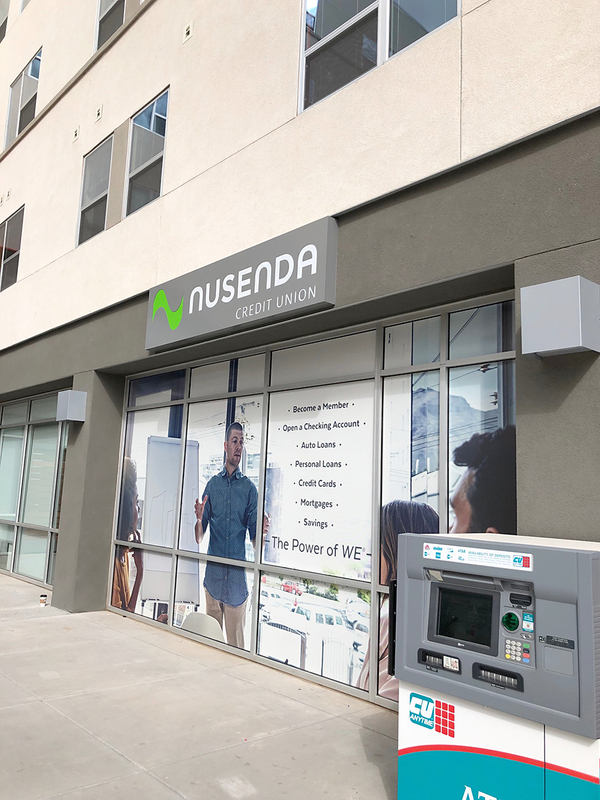 Nusenda already features personal teller machines at the drive-up at the Rio Rancho branch on Unser, with plans for more deployments in the near future. 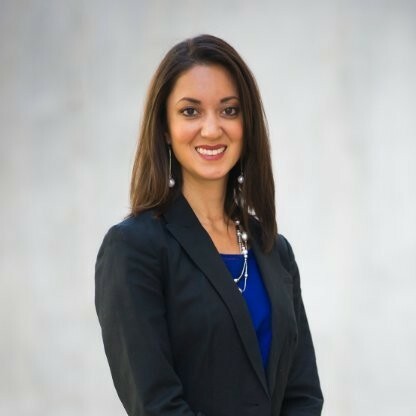 If you want to learn more, please reach out to Nusenda’s team.